Breathable Waist: keeps baby's skin cool. All-round stretch for a soft and comfortable fit in every movement. Explore the entire range of Diapers available on Nykaa. 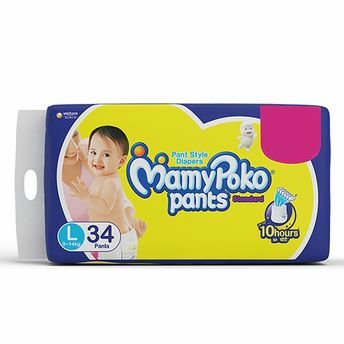 Shop more MamyPoko products here.You can browse through the complete world of MamyPoko Diapers .